Justice Department spokesman Peter Carr said on Wednesday that Attorney General Mukasey would not be involved in any aspect of Mr. Madoff’s prosecution, which is being run by the U.S. Attorney’s Office in Manhattan. Attorney General Mukasey’s taking himself out of the Madoff prosecution is akin to Eli Manning declining to play in the Super Bowl, which would have caused Giants fans to yell bloody murder if Mr. Manning had sidelined himself. Marc L. Mukasey, a partner in the law firm of Bracewell & Giuliani, is representing Frank DiPascali, the top financial officer of Bernard L. Madoff Investment Securities LLC operated by the notorious Bernard Madoff, a 70-year-old New Yorker. The young Mr. Mukasey has neutralized the older Mr. Mukasey from performing the job that Americans expect the United States Attorney General to perform. “Officials in Washington declined to answer if the Attorney General knew Bernard Madoff personally from his time in New York,” said Jason Ryan of ABC News. Attorney General Mukasey is a 1959 graduate of the Ramaz School, a modern Orthodox Jewish school in New York. The school invested $6 million in a fund that was a client of Mr. Madoff, said Kenny Rochlin, Ramaz’s director of institutional advancement, according to a report on Bloomberg.com. It was reported by Eric Lichtblau of the New York Times that Mr. Madoff’s wife, Ruth Madoff, 67, also has close ties to the Ramaz school in Manhattan, where she served on the board. Americans throughout the country are outraged by the horrendous treachery of Mr. Madoff, whose crimes have disproportionately affected Jewish Americans and Jewish charities. The Securities and Exchange Commission (SEC) said it missed repeated opportunities to discover Mr. Madoff’s fraud. SEC chairman Christopher Cox said that the SEC failed to act on “credible, specific” allegations about Mr. Madoff dating back to 1999. “I am gravely concerned by the apparent multiple failures over at least a decade to thoroughly investigate these allegations or at least any point to seek formal authority to pursue them,” Mr. Cox said in a written statement. “I can’t comprehend how a well-run investigation would have missed a fraud of this magnitude,” said Lynn Turner, a former SEC chief accountant. The SEC, already faulted over the collapse of Bear Stearns Cos. and Lehman Brothers Holdings Inc., faces critcism for failing to detect the fraud that prosecutors say Madoff confessed to. A House panel will hold a hearing next month. Madoff’s responses to a 2005 SEC inspection of his brokerage operation should have raised suspicions and prompted further inquiries, said two people familiar with the matter. Two years later, the agency closed a separate probe into tips and press report suggesting his investment returns were too good to be true. Money manager Harry Markopolos helped trigger that inquiry by suggesting Madoff may be running a Ponzi scheme or front-running, a person with knowledge of the case said. In the latter practice, traders buy shares for their account before filling customer orders, betting on a likely market move. One of the SEC’s investigative teams that examined the Madoff firm was headed by a lawyer named Eric Swanson, who served 10 years at the SEC before leaving in 2006 when he was the assistant director of the office of compliance inspections and examinations in Washington. In 2007, Mr. Swanson married Shana Madoff, a niece of Bernard Madoff and the daughter of his brother, Peter Madoff, the Madoff firm’s chief compliance officer. The SEC issued a statement in which it reported that Mr. Swanson was part of a team that looked into the books of Mr. Madoff’s securities firm in 1999 and 2004. It said that it has “strict rules” prohibiting employees from participating in cases involving companies in which they have a personal interest. Mr. Swanson is currently employed by BATS Exchange in Kansas City, according to the New York Times. The Jewish community better get serious about the cancer that’s growing inside it. The devastation on Wall Street carries a lot of Jewish names, from firms like Bear Stearns and Lehman Brothers to individuals such as Bernard Madoff, whose $50 billion Ponzi scheme collapsed over the weekend, and lawyer Marc Dreier, arrested last week for defrauding investors of millions of dollars. On the Internet more and more people who don’t like us are beginning to connect the dots, pointing out that there are an awful lot of Jews who bear responsibility for Wall Street’s fall. Anti-Semites will always find something to hate us for, and I’m way to busy to worry about what a bunch of bigots think anyway. Rather, what worries me is this: what if some [of] it is true? What if our community has become too obsessed with money? . . . What if a disproportionately large number of young Jews are running to work on Wall Street and never even considering jobs like teaching, the rabbinate, or doing outreach becasue the compensation, comparatively, stinks? 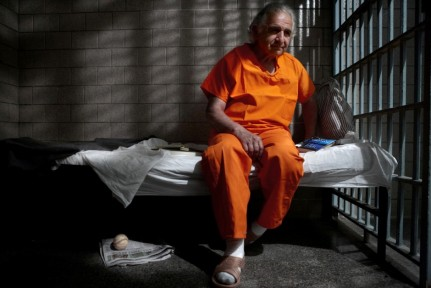 Mr. Madoff is out of custody on bail. U.S. Magistrate Judge Gabriel Gorenstein ordered Mr. Madoff to wear an ankle monitoring bracelet and stay at his Park Avenue apartment from 7 p.m. to 9 a.m. Judge Gorenstein also ordered Mr. Madoff and his wife to surrender their passports. This entry was posted on December 18, 2008 at 8:38 am and is filed under US politics. You can follow any responses to this entry through the RSS 2.0 feed. You can leave a response, or trackback from your own site. I did not realize the inherent family conflict. How could one appoint an Attorney General who son’s business revolves around “White-collar Federal Criminal defendants? Isn’t that the group of people the Department of Justice prosecutes? Could Nelson DeMille be scripting this story line? It is just another matter that smarter people than I will need to sort out.